The funeral Mass for Sister Mary Ellen Seo was celebrated March 2 at the Seton Residence Chapel in Evansville, Ind. 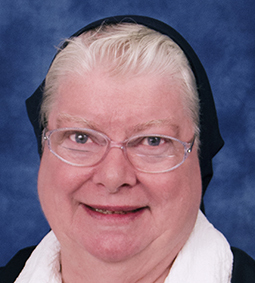 Sister Mary Ellen died Feb. 27 at Seton Residence. She was age 80 and a Daughter of Charity of St. Vincent de Paul for 62 years. Born in New Orleans, Sister Mary Ellen earned a bachelor’s degree in history and education in 1961 from Marillac College in St. Louis. In 1979, she earned a master’s degree in education, with a minor in learning disabilities, from Xavier University of New Orleans. Sister Mary Ellen entered the Daughters of Charity in St. Louis in 1957. She was a primary and learning disabilities teacher at St. Boniface School in Perryville from 1968-71 and 1981-83, and at Elizabeth Ann Seton School in Brewer from 1971-73. She also taught in Iowa, California and Louisiana. She moved to Seton Residence in Evansville in February. Sister Mary Ellen served twice as local community superior; first at Elizabeth Ann Seton Residence in Brewer from 1972-73 and then in New Orleans from 2010-13. Burial was in St. Joseph Cemetery in Evansville.